Included below are homes for sale in San Elijo Hills. If you would like more information on any of these San Elijo Hills real estate listings, just click the "Request More Information" button when viewing the details of that property. We can provide you with disclosures, past sales history, dates and prices of homes recently sold nearby, and more. And, if you haven't already, be sure to register for a free account so that you can receive email alerts whenever new San Elijo Hills houses come on the market. When searching San Elijo Hills homes for sale you will find San Elijo Hills is a master planned community in San Marcos with a small town charm and town center full of dining, shopping, grocery store, and more. It is a family friendly community on the highest point of North County San Diego and is home to one of the top rated schools in the San Marcos Unified School District. There are numerous trails and parks in the community, including Double Peak Park which is known for its expansive views. The walkable town center is a community gathering place where residents and visitors can bring their families and pets to the town square. Various restaurants and shops are conveniently lined along the town center, including Epoch Kitchen, Cafe Stoked, and SoulShine Yoga. Clubs and associations are organized to improve the San Elijo Hills life through community events, networking, and groups. This close knit community holds annual events such as Easter egg hunts, Oktoberfest, outdoor concerts, and movies in the park. San Elijo Hills is great for hikers and outdoor lovers. Outdoor lovers can enjoy 12 different hiking trails, including the famous Double Peak Trail that leads to the highest point in coastal North County and Double Peak Park. Double Peak Park showcases extensive panoramic views in the surrounding area, including Catalina Island and Mexico. is located at the end of Double Peak Trail and Families and friends can enjoy picnics and outings at San Elijo Dog Park and Questhaven Park. Two new communities within San Elijo Hills are currently being constructed. The Estates by Davidson Communities offers 58 unique Old World, French Country, Tuscan, Monterey and Spanish inspired architectural styles. Located at one of the highest elevations, residents can enjoy the inviting open floor plans with indoor/outdoor living spaces, luxurious master suites and baths, panoramic ocean views, and elegant interiors. The Summit by Richmond American consists of 44 luxury single family homes with courtyard entries, indoor/outdoor living spaces, and designer touches. The Summit is perfect for entertaining guests atop panoramic ocean views. San Elijo Hills is served by the award winning San Marcos Unified School District and is home to an elementary school, middle school, and K-8 school. San Elijo Elementary School and San Elijo Middle School share a 30-acre campus in the heart of San Elijo Hills on Schoolhouse Way. The new Double Peak School is a K-8 school that provides a multitude of opportunities for approximately 1,000 students in Instrumental Music, Art, and Innovation (engineering, design, and coding). San Marcos High School serves high school students living in San Elijo Hills. In addition, the academic partnership agreement, The Promise, between San Marcos Unified School District and nearby California State University San Marcos (CSUSM) prepares students for academic success and achievement for college and guarantees admission to the university. Detached single family neighborhoods include Azure, Altaire, Bella Vista, Belmont, Cedar Crossing, Crestview, Luminara, Mahogany, Old Creek Ranch, Palisades, Promontory Ridge, Sagewood, Saverne, Terraza, Waterford, Westcliffee, and Woodleys Glen. Westcliffe is a luxury gated community located on top of a hillside overlooking the ball park and the San Elijo Community Park. The community was built by ColRich communities, a San Diego based developer. Westcliffe is composed of 107 luxury homes on large lots. There are only 4 streets in the community, Schoolhouse Way, Lighthouse Road, Misty Sea Way, and Kingsport Way. 3 out of the 4 homes are located on cal de sacs. Many of the homes have ocean views. Westcliffe is located next to the Ocean View Trail, which provides an easy access and system to Schoolhouse Way, the town center, shopping, parks, and schools. Promontory Ridge is a gated community located near the San Elijo town center, schools, parks, and sport fields. The community was built by Pulte Homes, one of largest homebuilders in the nation. The 160 homes are large in size and were recently improved and upgraded. Creekside Cottages is a townhome community in San Elijo Hills and was built in 2005. The townhomes are three stories with two to three bedrooms, an attached garage, and balcony patio. Community amenities include a playground. Market Walk is a twelve unit townhome community in San Elijo Hills that was built in 2009. The townhomes are two stories with two to four bedrooms, a garage, private balcony, and fireplace. Homeowners association fees include water. Morgans Corner is a one hundred sixty two unit townhome community in San Elijo Hills and was built in 2003. The townhomes are two to three stories with two to three bedrooms, an attached garage, entry patio, and laundry room. Community amenities include a pool, spa, recreation area, playground, and barbecues. Springfield is a gated eighty two unit townhome community in San Elijo Hills that was completed in 2003. The townhomes are two to three stories with two to three bedrooms, an attached garage, fireplace, balcony, and yard. Community amenities include a pool and spa. Village Square is a one hundred twenty one unit townhome community in San Elijo Hills and was built in 2004. The townhomes are three stories with two to three bedrooms, an attached garage, and private balcony. Walk to downtown San Elijo Hills, restaurants, and shopping. 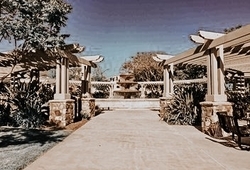 Westridge is a large gated townhome community in San Elijo Hills and was completed in 2004. The townhomes are two stories with two to four bedrooms, an attached garage, fireplace, yard, and private balcony. Community amenities include a pool and spa.